New restrictions will go into effect next month regarding buying, selling and transporting ammunition in California. A law enacted in 2016 has several provisions related to the purchase of ammunition that will take effect on Jan. 1, 2018. Proposition 63 requires anyone selling ammunition to have a license from the Department of Justice. 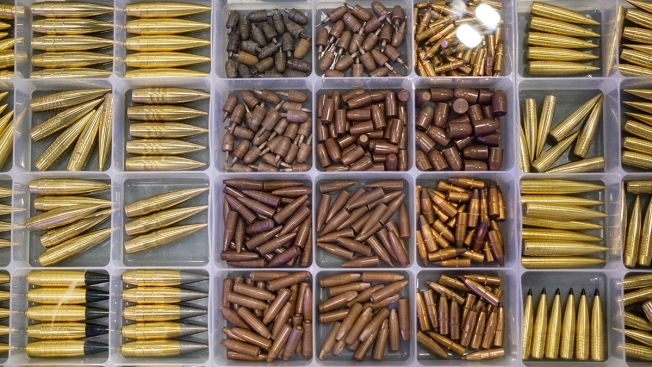 Ammunition purchased over the internet must go through a licensed ammunition vendor. Under the law, ammunition means one or more loaded cartridges consisting of a primed case, propellant, and with one or more projectiles. It does not include blanks. Sales of ammo must be done face-to-face unless the ammo is purchased online through a licensed vendor who then delivers the ammunition to the consumer. Exceptions to the law include sworn peace officers, licensed dealers or collectors, people with exempted federal firearms licensees through the DOJ or a spouse, registered domestic partner or immediate family member of the person who owns the ammunition. Ammunition can also not be driven across state lines beginning Jan. 1, 2018. Also, beginning Jan. 1, 2018, criminals convicted of crimes requiring them to surrender their firearms must do so before the court case can be considered closed. Prop 63, which went into effect in July, also requires gun owners to report stolen weapons within five days or face fines up to $1,000 after multiple infractions. In 2019, the law will require background checks for anyone buying ammunition and will require vendors to electronically track ammunition sales and transfers and submit them to the Department of Justice where they will be kept in a database known as the Ammunition Purchase Records File. On Dec. 20, the National Rifle Association, who opposed Proposition 62, sent a letter to California Attorney General Xavier Becerra requesting a stay because of a 2-week delay in implementing the process for vendors to get ammunition licenses. The letter expressed "serious concerns as to what procedures or safeguards will be in place for existing ammunition vendors who are unable to obtain the necessary license" by the deadline. A lawsuit was filed this year seeking to remove the legislation's restrictions on large-capacity magazines which were scheduled to go into effect on July 1, 2017. In Duncan v. Becerra, a federal judge in San Diego ruled in favor of a temporary delay while a judge in Sacramento rejected it.